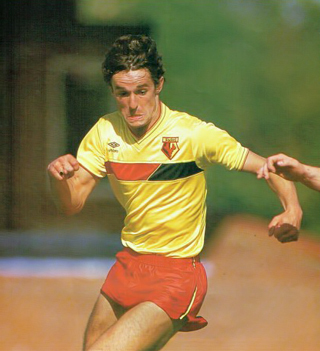 Ian Richardson may only have played a handful of games for Watford but his place in the club’s history books is assured, just like his old reserve team strike partner Jimmy Gilligan. 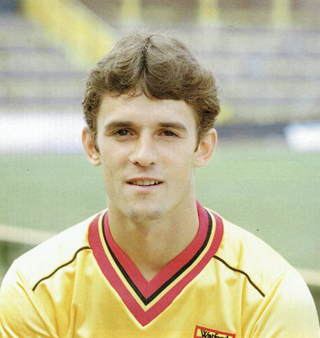 Richardson made his debut in the second leg of the UEFA Cup tie against Kaiserslautern in September 1983 and scored twice as the Hornets overturned the 3-1 first leg deficit. It was so typical of Graham Taylor that, despite Richardson’s heroics in Europe, he still fined him for getting sent off against Millwall Reserves a few days earlier. You had a fantastic partnership with Jimmy Gilligan that went from winning the FA Youth Cup, then the reserve team and finally you played together in Europe. What do you remember about it? What I really remember about the youth cup was going to Wolves for the semi-final and scoring a hat-trick. We won 5-0 there. We played Manchester United in the final and won 3-2 at Old Trafford. It could quite easily have been 3-3, they had a couple of chances near the end. Clayton Blackmore hit the bar in the last minute at Old Trafford. What was Tom Walley like? Tom was a hard man, but that’s probably why we ended up the way we did. You’d get the odd clip round the ear. I’m not sure you could get away with some of his coaching methods now. You’re well known for scoring twice in the 3-0 win over Kaiserslautern – that was your first team debut. It was, yes. We were lucky really – the European side was half a youth team because players had left. Luther had left. And we had a lot of injuries. Jimmy and I had a good partnership, right through from the youth team to the reserves. Graham wanted his reserve team to play the same way as the first team. Jimmy and I had a good understanding. A lot of the stuff was played up to Jim and he knew where I wanted it and I’d run off him. I was quick so I could get the knock-downs. Did you ever think you’d get to play in a game like that? You always felt there would be an opportunity. As young players we were always encouraged to think in terms of getting in the first team. That was the point of being there – to develop, to get better and take a chance. I remember watching them play at Southampton in the League Cup tie . I was on holiday down on the south coast. I’d just signed apprentice forms and because Watford were playing down there I went to watch. They lost 4-0 but won the second leg 7-1. When my opportunity came along, I didn’t get a long enough run. Luther had gone a bit too early for me because I wasn’t really ready for the first team. When did you know you’d be playing the home leg against Kaiserslautern because you’d not been given at taste of first-team football before that. I had played in China with the first team [summer 1983] and scored a couple over there but the Kaiserslautern home game was my debut. I travelled to Germany for the first leg and I was in the squad but not on the bench. I just remember the German side looking so big. [Andreas] Brehme was the left back and he went on to win the World Cup and [Hans-Peter] Briegel was the centre-half and he was a giant. So talk me through the build-up to the game. On the Monday afternoon we had a reserve team game against Millwall at The Den. The old Den, this was and even though it was a Monday afternoon and no one was there it was an intimidating place to go. 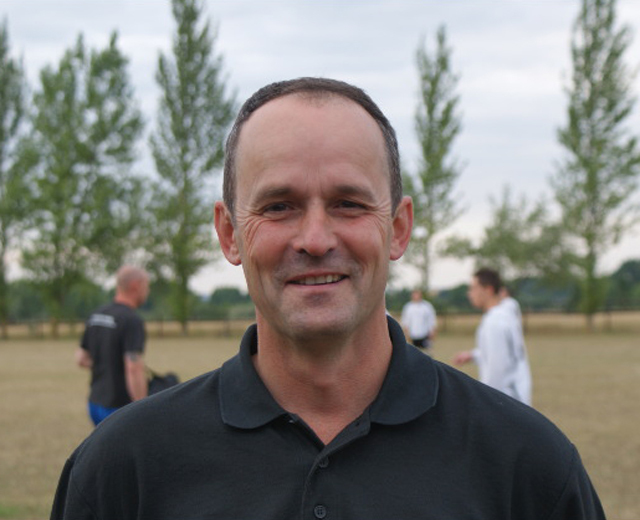 Richard Sendall played up front with me and he was getting a kicking from their centre-half. He was getting kicked all over the park. Then the centre half took a slice of me and I took exception to it. I’d never been booked or sent off before that but I lost it and pushed the centre half and got sent off. It was a bit of handbags but I got sent off. I thought I might be in a bit of trouble. The gaffer [Graham Taylor] didn’t like his players losing it like that. We were expected to rise above it. I was half-expecting to get called in and told off but nothing happened. I didn’t find out I was in the team until the morning of the game. I was living at home in Borehamwood. We trained at Honeypot Lane [Stanmore] in the morning. I knew I was in the team because GT pulled me aside before the session and told me that I was playing. At the time I took it in my stride, I was quite calm about things, but as the afternoon wore on, I was sat at home and I started to get the butterflies. But I always believed in what I could do and I was looking forward to it. Graham’s team talk was simple – let’s get at them early. We were 3-1 down from the first leg so we had to score twice to take it to extra time. What was the atmosphere like? It was a typical Tuesday night at Vicarage Road from that time. A big crowd and a great atmosphere. When we attacked the crowd were really with us. Our thought was we’re just going to get the thing forward and see what happens. We got at teams. We didn’t give them time on the ball. In fact we made them [Kaiserslautern] look ordinary, I felt. I think they took it too lightly. Briegel was all over the place. They were 3-1 up and it was like they’d come for a stroll. They turned up in casual clothes, just turned up to see it through, thought they’d win quite easily and they really got a shock. 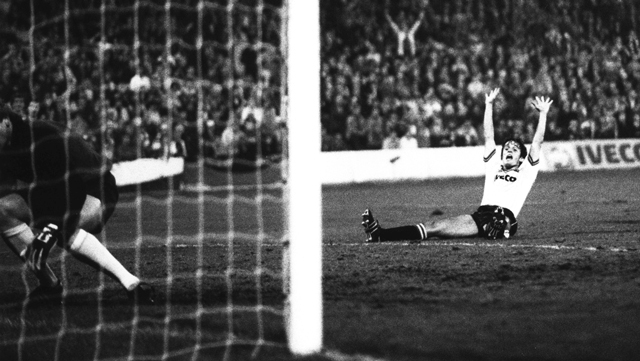 My first goal was from a [Steve] Sherwood kick. It got flicked on, I took the gamble it’d be flicked on, and it was. I got in behind the defenders and stuck it away. My celebration wasn’t particularly good. Absolutely. You just had to slide and get something on it and see what happened. That was our game – if the ball went in the box we were expected to get something on the end of it because if you can get a touch you can score. Often it doesn’t need the best finish to score a goal. The wingers put balls into areas and you’re expected to get on the end of them. It was the same in the reserves. The third goal came in the second half and it completed a miraculous result really. It was. I don’t think anyone gave us a chance but one thing about Graham was that he refused to give up a tie like that. Remember the Southampton one – 4-0 down after the first leg, won the second 7-1. Have you watched the film of the game? I have every now and then. John Motson did the commentary [for the BBC]. He interviewed me and GT in the tunnel afterwards. I’d never done an interview in my life. GT did his and then it was my turn and a lot of my answers were a bit short and sharp and so it didn’t make it onto Sportsnight. Graham said in his TV interview that I was probably the last option, and that was probably true. I got in the team because Jan Lohman got injured and he had to move John Barnes, who had played up front with Jim in Germany. I’m sure if Lohman had been fit he’d have gone with Barnes and Gilligan up front again. Did you swap your shirt with one of the Kaiserslautern players? No way! Roy Clare [the kit man] would have killed us if we’d given them away! That would have come out of my wages. Two days after the game, on the Friday, he [GT] called me into the office to say I was in the first team squad for the league game [against West Brom at the Hawthorns]. He told me how well I’d done but told me to keep my feet on the ground and not let myself get carried away. Did you get a goal bonus? No, but there was a win bonus. The next round was against Levski Spartak – a 1-1 draw at home and then an unforgettable game in Sofia in front of 60,000. I’d played in front of 100,000 in China but that was completely different. I don’t think they really knew football but when we went to Levski Spartak… Wow. There were fireworks going off in the ground. What did you make of Eastern Europe? You don’t see much of the place. You go to the hotel, you train, you go to the ground. But I remember the ground so well. The whole place was bouncing, bonfires on the terraces. We’d never come across anything like that. Spartak were a big, strong, physical side, which we expected to be fair. They had a few chances, certainly early on. You got one of the goals. It was typical of me, really. Nigel [Callaghan] put the ball in the six-yard box and I slid in really. Then came the Sparta Prague matches. Sparta Prague were a very good side. They were definitely the best of the three teams we played and in the away leg we couldn’t cope with the pitch. It was frozen solid. They had studs that were like spikes. They looked like they had been cut into a point. We were slipping all over the place. You’d played in five of the six European games but by the time the team was knocked out of Europe, Graham had signed Maurice Johnston, who was very similar to you in that he was small, quick, a poacher. He did. Just before he signed Maurice I scored twice against Leicester [in a 3-3 draw]. I thought I had a hat-trick. I hit one at the top corner and Mark Wallington tipped it over the bar. What did you think when Maurice joined? I had expected to go back to the reserves, to be honest. To be part of the first team squad was great. I felt a bit aggrieved, still am a bit, to be honest. If I’d got a run, you never know what would have happened. We always played with a big man and a small man and after playing in the European games I stayed in and around the squad but I never got back in. Maurice was quality, to be fair, and when he started scoring he couldn’t stop so it was going to be very hard for me to get back in. Then Luther came back and suddenly I’m further from the first team. Even though Maurice left, I knew I had to move on. It was that season [1984-85] that I felt I really needed to be playing first team football. Luther was back, Malcolm Allen was coming through and I knew my chances were going to be limited. I’d been on loan to Blackpool with Sam Ellis [former Watford captain, who was their manager] and that was good because Sam ran it well. Then I went to Rotherham – their manager was Kerr [George Kerr, who had been with Graham Taylor at Lincoln] and that was pretty good. I scored goals on both of those loans but when I went back to Watford I was always on the fringes. So in November 1985 you left the club. I’d played in the reserves and scored a couple of goals and the Chester manager was in the stand watching. That was the first I knew about a move. I signed for Chester that night and that was the one thing I shouldn’t have done. It was the one thing that was handled badly. I was only a young lad, it was my first transfer. I felt I was being thrown into it. Watford were probably happy to get me out of there, Chester wanted to sign me and I felt rushed into it. I went there to replace Stuart Rimmer, who was injured, but he’d scored 25 goals or something the previous year so there was quite a lot of expectation. I went there to replace him and I scored 10 goals and we got promoted [from the Fourth Division] so it was successful. Then in pre-season Stuart was fit and he got back in the side and I was on the sidelines. We were never going to play together because we were similar, so from that point of view it was disastrous. But I felt like I made a mistake signing for Chester in a hurry. Then I went to Scunthorpe and did my cruciate ligaments within two or three months. Scunthorpe was the wrong place to do it really. Wrong time, wrong place. What do you mean the wrong place? Well, the medical set-up wasn’t the same as it had been at Watford. I never really recovered from it. I went and played non-league at Staines Town where Neil Price was manager. I’d been to Cambridge where John Beck was manager. Dion Dublin was there, Liam Daish, Alan Kimble, they had a decent side and I did well there and they wanted me to stay for two months but then Neil came in and said he’d pay me more and get me a job so I went down the non-league route. I should have stuck with Cambridge, I think. But you’ll always be the man who scored twice on his debut in a UEFA Cup tie. I will. It’s my small part in Watford’s history and it’s nice I’ll always be remembered for that. I didn’t play that many games, but I left a mark. Maybe I’ll be remembered for that. Watford have got a great sense of their history. Whenever we go back to Watford they know who we are and what we’ve done. I look back and think if I’d maybe had another three or four weeks in the side maybe things would have turned out differently. If I could have kept scoring maybe he wouldn’t have bought Maurice Johnston. Who knows. You never know how things might have turned out. But I’ll never forget my debut – the Vicarage Road end was chocker and I remember after we scored looking up at the scoreboard and seeing those stupid little men dancing. [Laughs] I suppose not – the fact that I remember them all these years later says something. I’ll always remember them, that’s for sure.